I’m sitting and wondering what would be an appropriate message of hope, love and healing. I bet like me and many other ‘empaths’ and sensitive types you are feeling lots of strange energies right now – this week. You’d be right in thinking something is going on – way more than we can possibly image. As well as Mercury in retrograde, giving us all the opportunity for a pause for reflection, and Venus (who has been retrograde) coming back into focus, and a full moon to boot, this all coincides with a period of the most powerful spiritual significance. Passover in the Jewish calendar, and Easter to all Christians. Whatever our faith background we can all reflect, recollect and refocus our thoughts with gratitude and grace, and celebrate re-birth and renewal together. 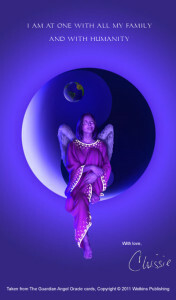 Let me share my Angel Prayer with you now, and invite you to take a moment sometime over the Easter weekend to take a few moments to connect to the angelic realms and ask for balance and renewal in all our lives. For those of us who were brought up with the Easter story we may have an understanding of the magnitude of the sacrifice of Jesus. Not everyone holds to the same story of the final days, but whatever our knowledge or beliefs the fact remains that the Easter Story is one of mixed emotions, of great sadness yet joy, of resurrection and hope. For many others Easter is simply a 4 day break, a Bank Holiday. But whatever we choose to do this weekend let’s just be aware of the enormity of the synchronicities at play within our cosmos. We have major planets like Mercury and Venus in retrograde (standing still) right now. We have world politicians making strange and dangerous statements of intent. And we have Jewish Passover and Easter, the most important festival in the Christian calendar. Our world is as tumultuous now as it was when Jesus carried out his ministry, bringing His message of love, tempered with hope. His message was a simple one: love one another, because despite all our human weaknesses, we are equally loved by the Divine forces we call God, or Allah, or Angels, or Spirit. Easter may be a Christian festival but it is one of unity of all people. Whatever your personal faith or beliefs, I invite you to join me, over this weekend, to reflect upon the small, but significant part each of us plays in bringing love and unity to our world. Have a wonderful Easter and may the blessings of love, peace, and hope surround you in abundance.